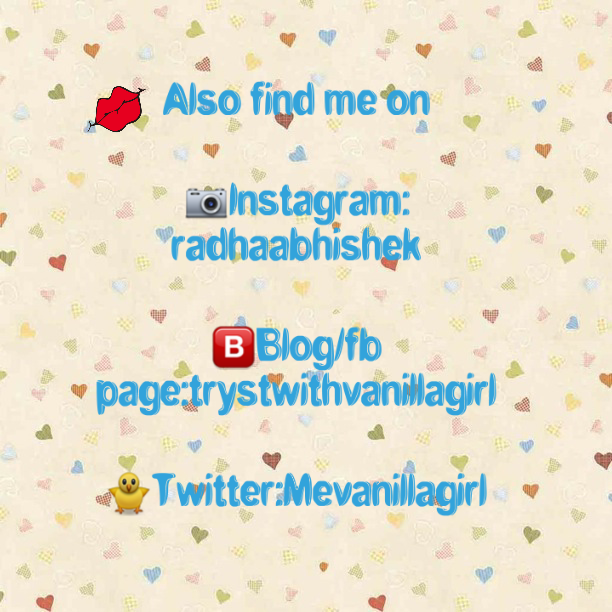 Recently I am reviewing lot of MAC Products I own. The product I am going to review today again is another MAC Eyeshadow.I bought this on strong recommendation of so many friends as one of the best Eye shadow for Indian Skin tone.I bought this product for hype of it! !Lets see if The shadow has lived up to its expectations as far as I am concerned or not? A cutting-edge formula that transforms powdery cream into liquid metal before your very eyes – on your very eyes (or cheeks, brow bone, décolletage…anywhere a multi-dimensional metallic effect is desired). Created with a new mélange of pigments that allow superior blendability and spreadability, our luxurious highlighter goes from medium to high intensity coverage in a simple one-stroke application. This molten magic is sure to elevate any look with its extreme brilliance, shine and dimension! This range was launched by MACsomewhere in 2011. 1.Packaging:It is standard MAC black Powder or blush Packaging.A see through Lid gives a peep to the product. 2.Texture: is supersoft and creamy.It is super easy to apply on the lids. The product is layerable and easily blendable. 3.Pigmentation: Rusty gives adequate copper pigmentation with a metallic sheen. 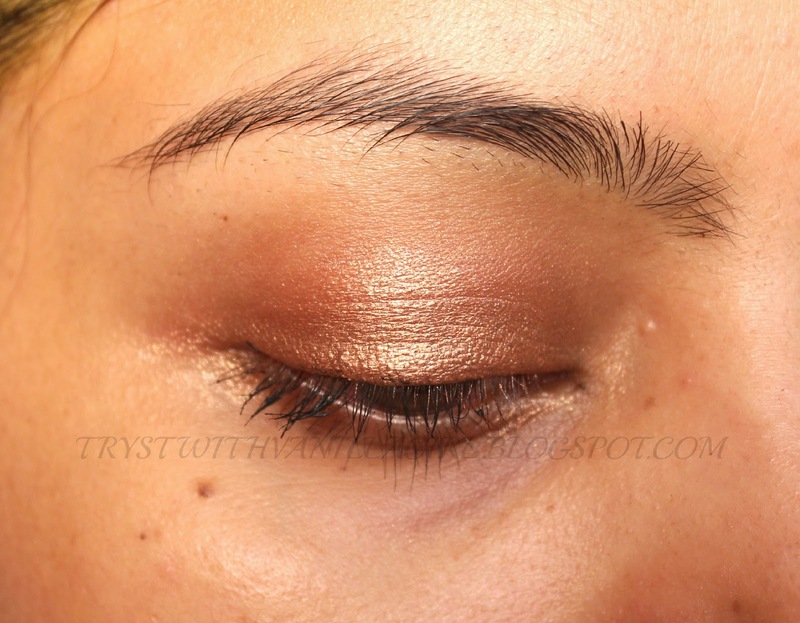 I usually top it up with some copper or gold eyeshadow to get more intense pigmentation on my lids. 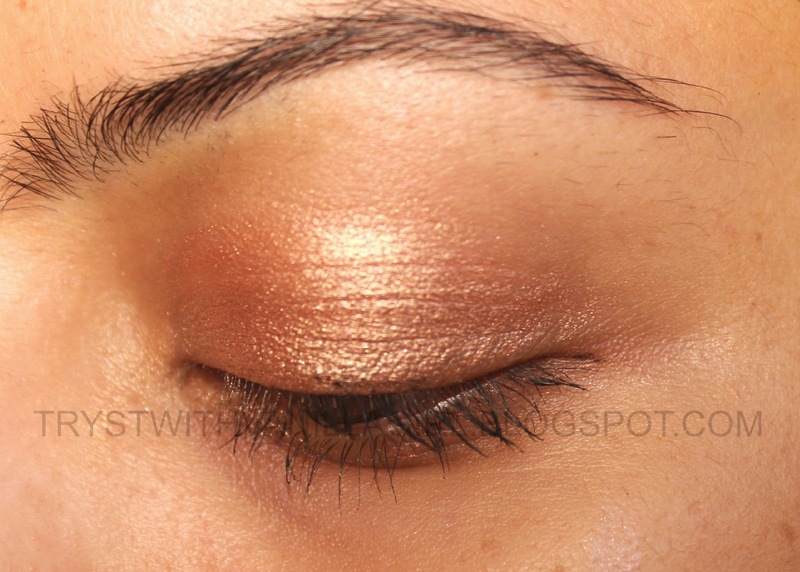 It can otherwise be safely wore on its own or can be used as a base to create brown shimmery or gold eye looks. 4.Longevity: Rusty wore on its own fades fast and creases on my lids. I do not like this particular part of it. 5.It is more or less like Maybelline tattoo Eyeshadows in the way both turn from bottle to lids. 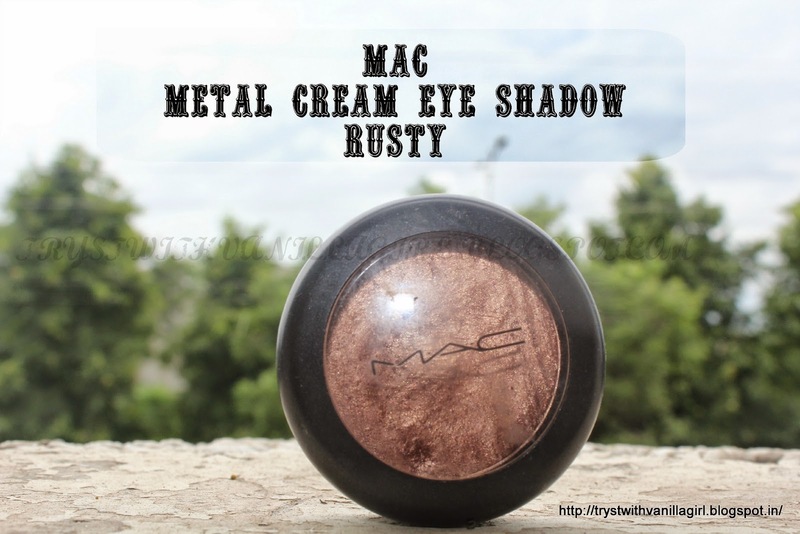 But I personally felt that MAC rusty Is creamier than Maybelline Tattoo.Also It tends to crease more on lids. Poor stay turned out to be biggest reason for saying No to These Cream Eye Shadows Forever. Also the price I paid to buy this creasing cream shadow is not justified when compared to Maybelline eye Tattoos which serve the same purpose. Rusty however is a unique colour to have in your vanity and Easy to go for Colour for Olive and Indian skin tones!! Which is your favorite Cream Eye shadow?